The look on Kona’s face here is priceless. I couldn’t believe she was holding the pacifier so perfectly in her mouth just like Baby Awesome does! It was like she wanted to be a baby, too. 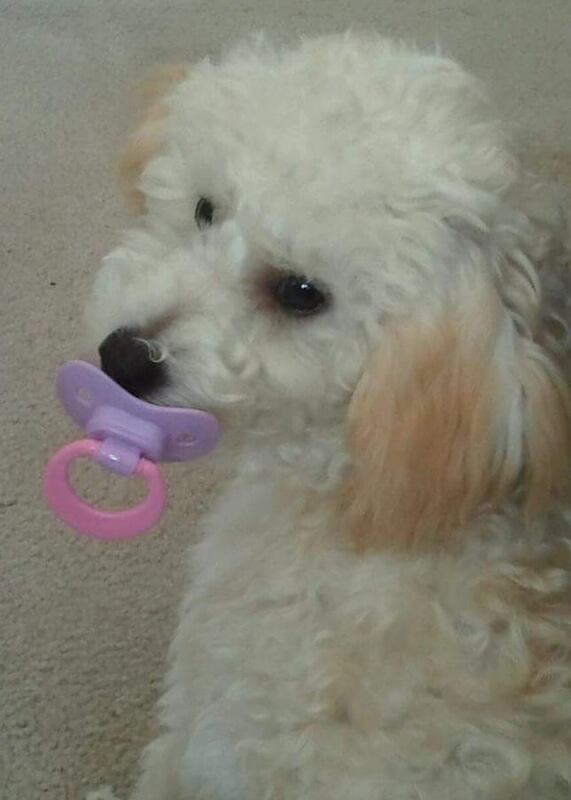 After I got the photo I took the pacifier from her and inspected it to make sure she didn’t puncture it. Nope, she just slobbered all over it. I immediately sterilized it by boiling it in hot water. 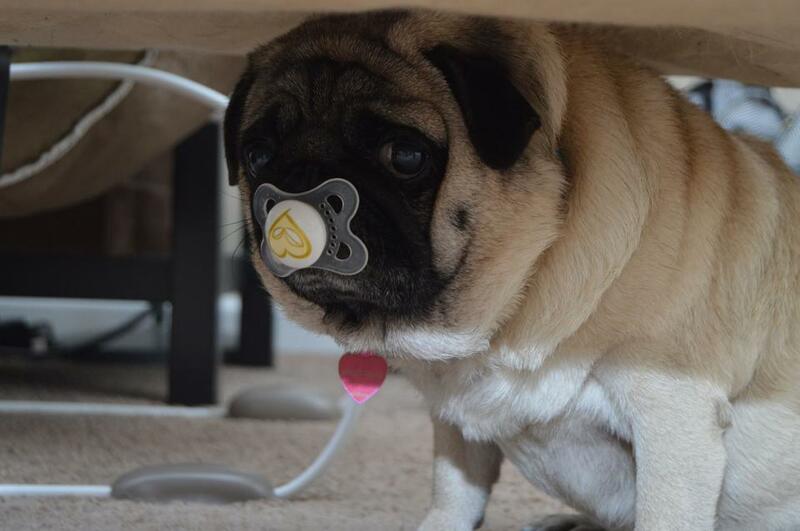 This one of the pug with the paci in its mouth just kills me. Too darn funny. 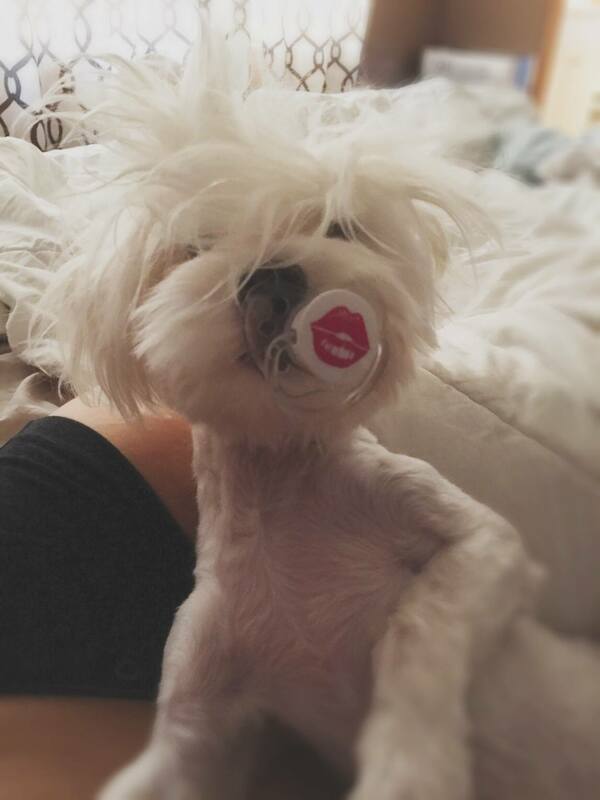 This is Shira the poodle. 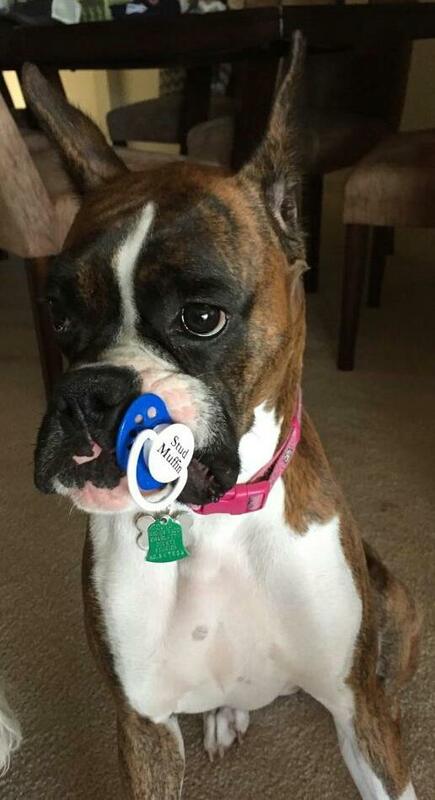 She loves her binky. This is Crash. 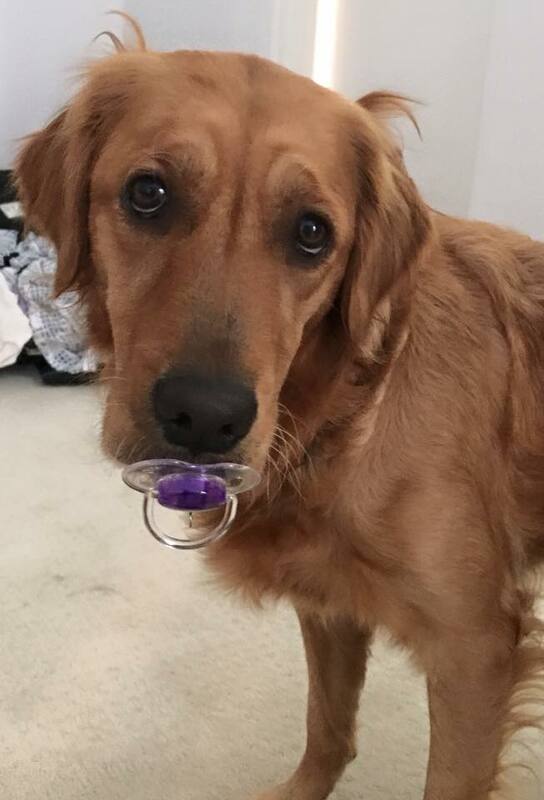 He is a puppy! This is London. He looks like he is smoking a cigarette. Hysterical! 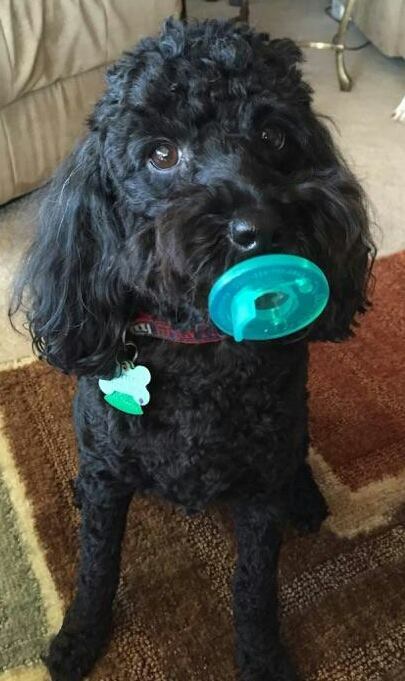 This is Skuttles, a black Australian labradoodle. Yes, that says Stud Muffin. 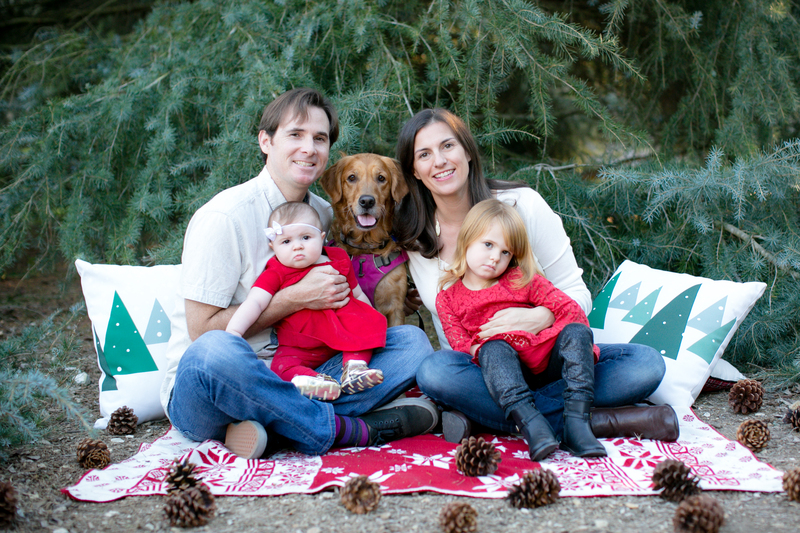 I would like to give a special shout out to the mommies in the First Time Mom group on Facebook and the mommies who let me share these photos with my readers. I hope this post makes you smile! What about you? 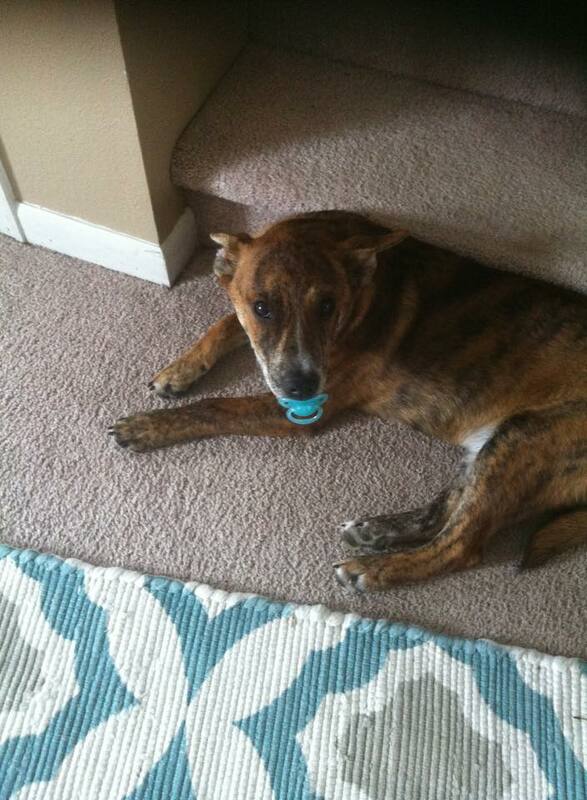 Anyone else have fur babies who have trouble distinguishing between your baby’s toys and their own toys? Post in the comments and tell us about it! When we got our second dog, he’d dream of feeding as a puppy. We’d hear him sucking in his sleep. BAHH HA HA HA AH!! I don’t even know what to say about this! 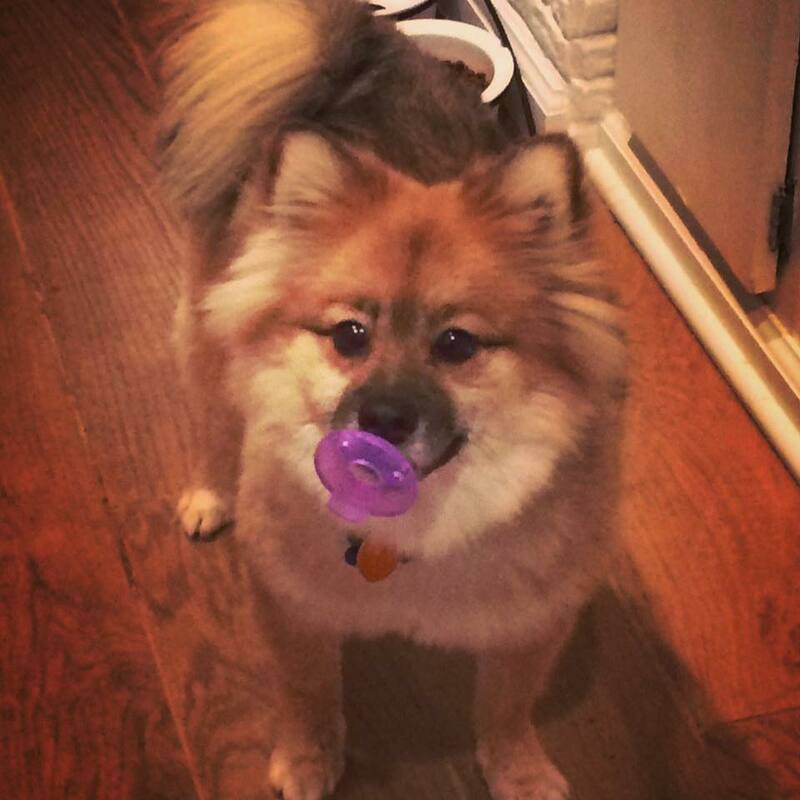 I don’t think my parents dogs could hold a pacifier in their mouths for even negative 1 second!